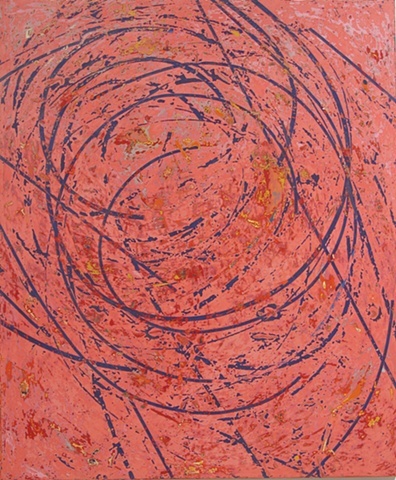 Delos Van Earl Studios - "Coral Eddy"
Accents of bright reds and yellows on top of swirling purple lines in a "tornado" form and layers and layers of different tones of pink. Twigs and pistachio shell forms add to the visual texture. The perfect painting for a specific room and person.